LeakFinder® is releasing several new products to their line of cost-effective automotive aftermarket solutions. LeakFinder® UV fluorescent dyes provide high-quality leak detection for all automotive air conditioning systems containing R-134a, R-1234yf, or other widely used refrigerants. LeakFinder® also offers dyes for oil-based fluids – addressing systems containing oil, fuel, transmission fluid, power steering fluid, and more. In addition, LeakFinder® offers specialty dyes for all conventional coolants. These dyes are useful for locating leaks in radiators, hoses, heater cores, water pumps, and fittings. All new LeakFinder® products are packaged in full-color, hanging clamshell packaging. LeakFinder® products are perfect for in-store displays and customer engagement. All product information is easily shown in vibrant color and easy-to-read text (trilingual packaging includes English, French, and Spanish translations). The strong exterior packaging ensures all materials are secure and ready for out-of-the-box use instantly. The LeakFinder LF500CS UV Lamp is a powerful violet light LED leak detection flashlight. 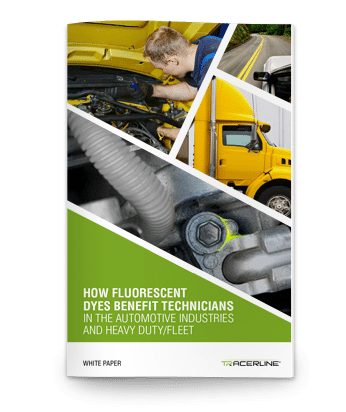 The flashlight’s compact design offers optimal coverage of a vehicle’s leaking systems – enabling the user to scan for escaping fluorescent dye in the tightest and hardest to reach places. The lamp features 9 violet light LEDs. The kit includes fluorescence-enhancing glasses and 3 AAA batteries. The LF500CS LeakFinder® UV Lamp will be available for purchase in March 2018. LeakFinder® UV Fluorescent Dyes are the perfect, cost-effective solution for small to mid-sized automotive repair shops and DIY preventative maintenance. Simply add the appropriate dye to the vehicle system, let the dye circulate, and scan the area with a LeakFinder® leak detection flashlight. All system leaks will glow brightly. LeakFinder® SOLO-SHOT™ disposable syringes are designed for quick and easy injections. Each syringe is prefilled with the correct amount of dye for the application. There’s no measuring involved and no loss of dye due to spillage. Headquartered in Westbury, New York, Tracer Products has been at the forefront of leak detection technology for over 60 years. The company offers a full line of rugged, top-quality, award-winning leak detection lamps, diagnostic tools, and dye injection systems used in automobiles and heavy-duty vehicles. 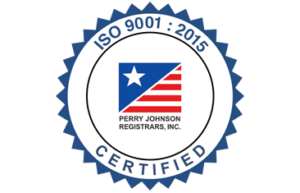 Tracer Products is dedicated to upholding high standards in design manufacturing, ensuring customer satisfaction, and in continuing to lead the world in leak detection solutions.